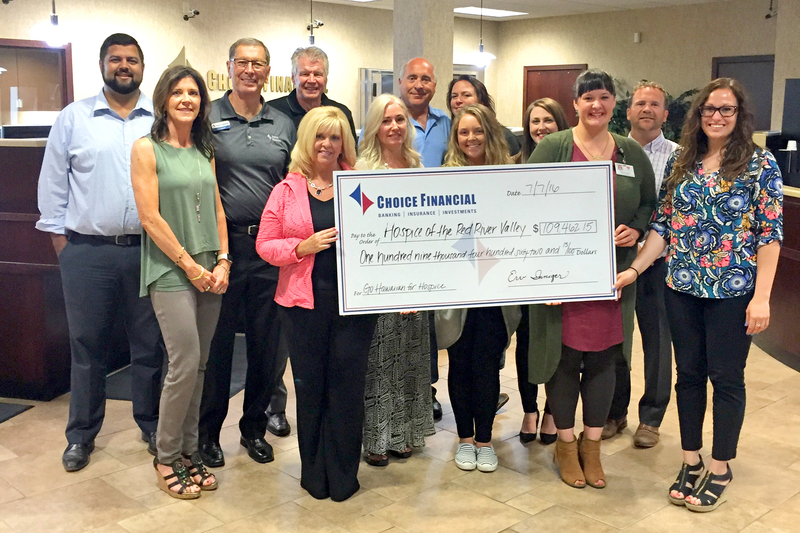 Choice Financial’s “Go Hawaiian for Hospice” lunch fundraiser, held June 28 in Fargo, generated $109,462.15 for Hospice of the Red River Valley. Attendees of the luau-style lunch enjoyed a roast pig, baked potato, fresh pineapple, Hawaiian punch and a frozen treat. The event also featured a memorial wall where guests were invited to remember their loved ones. Attendance was estimated at 1,400 people. The money raised provides care for patients and their families and supports Hospice of the Red River Valley’s grief support services, as well as other non-reimbursed needs.